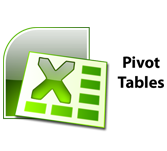 What is excel pivot table? PivotTable is a very powerful tool which can be used to slice and dice data. This tutorial will explain about PivotTable features in detail along with examples. Before completing this tutorial, you will get enough knowledge on PivotTable features and you can start exploring, analysing, and reporting data based on the requirements. This tutorial is useful for professionals who have to track and analyse hundreds or thousands of data points with a compact table. This will allow to use tables or charts in presentations and helps people in understanding data quickly. If you want to make a comparison, show a relationship, or highlight a trend, these tables will help your audience“see” what you are talking about. Before starting with this tutorial, users should be aware of Microsoft Excel basics. Well, if you are aware of these concepts, we suggest you to go through our short tutorials on Excel.